(LWI) - When neighbors attack her verbally, Rita Lama now presses the record button on her mobile phone. “The recording is evidence if I have to fight a case in court,” she says. 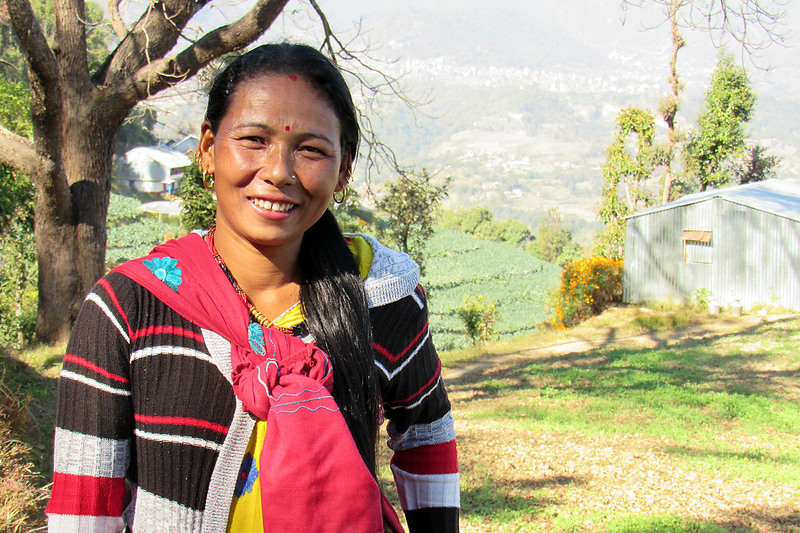 Lama has experienced numerous types of gender-based violence in her home village of Devichaur in Nepal. Through a local cooperative, The Lutheran World Federation (LWF) has shown her how to protect herself. According to official statistics, half of all women in Nepal will be victims of violence in their life, and every fourth woman has suffered violence in the past 12 months. Emotional violence (40%) is most commonly reported, followed by physical violence (27%) and sexual violence (15%). Lama was a teenager when she married. Her husband was a good friend. Marrage also meant escape from living with an alcoholic father. “I was only 16 years old when I ran away from home to marry him,” Lama remembers. Marriage bliss lasted until she gave birth to two baby girls. Her husband behaved indifferently towards her and the children, tortured her psychologically and beat her. She left her husband, but the violence continued. Eventually Lama reported the case to the police. At the police station, her husband apologized, and soon after went abroad to seek employment. He has been away for years and sends money to his family, which is common in Nepal. After he left, the neighbors started accusing Lama of witchcraft. Witch-hunts are a common form of gender-based violence in Nepal. In a society strongly rooted in spirituality, misfortune is thought by some to be caused by spirits and spells, and someone has to be blamed for invoking them. The victims are vulnerable women: widows or women whose husbands are away, the elderly, those who are extremely poor or belong to a low caste, or those who challenge the traditional patriarchal society. 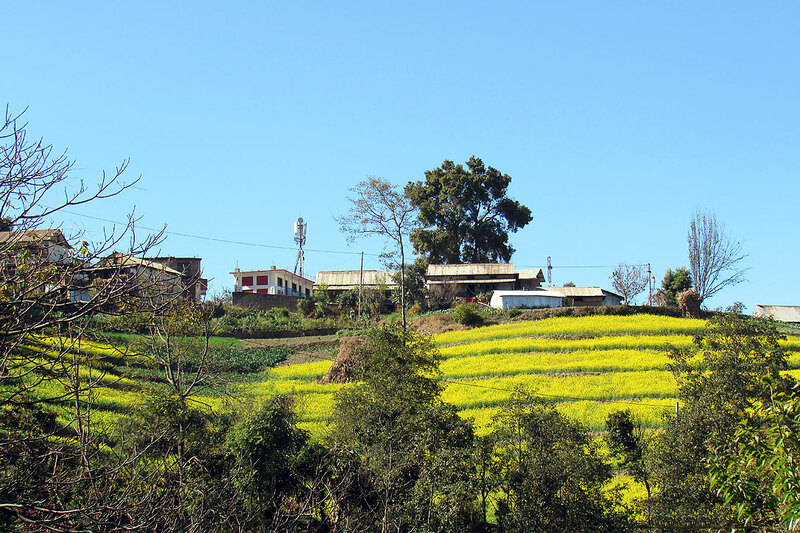 Devichour village, a five-hour drive from Kathmandu. People live of farming, livestock and small handcrafts. Being accused of witchcraft can be fatal. Lama does not go into detail about the abuse she suffered. “When I passed by their houses, people would pull the children inside. They told them that I was a witch,” she says, crying at the memory. Reports by human rights observers mention severe physical abuses and even killings of women marked as witches. Often, the family is among the perpetrators. In many cases victims dare not report the abuse. “I thought about ending my life, but love for my children didn’t allow me to do so,” Lama says. Lama’s situation was noticed by Subhadra Bajagain, chairperson of the Shree Devi Women’s Cooperative in Devihchaur. Supported by SOLVE Nepal, a local partner of the Lutheran World Federation (LWF) Nepal, the cooperative has been helping women in difficult situations and advocating against gender-based violence. Subhadra Bajagain, chairperson of the Shree Devi Women’s Cooperative in Devihchaur and human rights activist, has supported Rita Lama in her struggle against discrimination and abuse. The cooperative women were the first to talk to her normally in a long time. They warned her neighbors of legal consequences, and informed Lama of her rights. In 2014, Nepal’s Ministry of Women, Children and Social Welfare had introduced a “Witchcraft Act” to “empower women especially those who are economically poor… socially deprived or at a disadvantage”, as the ministry’s website states. Perpetrators can now be fined up to 1,050 USD and given jail sentence of up to 10 years. You need to be ready to defend yourself. Even your family members can be perpetrators. But I have realized that I am not alone fighting discrimination, organizations like SOLVE Nepal, LWF Nepal and the Nepal police are there to protect me. Knowledge about this legal framework finally gave Lama a means to defend herself. “In 2015, the neighbors attacked my daughters, blaming them for having learned witchcraft,” she says. “I was outraged and took the case to nearby police station.” An audio recording of the neighbors abuse served as proof of the crime. The neighbors received an official warning and had to sign a statement that they would not repeat such violence. Since then, the people in the village leave her alone. “They still talk behind my back. But I don’t care. 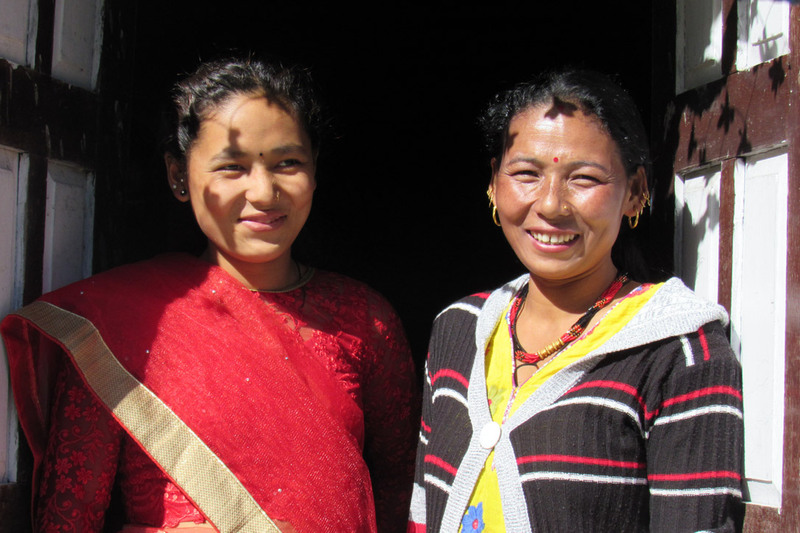 The didis (sisters) from the Women’s Cooperative support me,” she says. Smiling again: Rita Lama and her daughter in the Devichour family home. Seeing the vulnerability of Lama and her family, the cooperative gave her a loan of 30,000 Nepali rupies (300 USD) which Lama used to invest in farming. 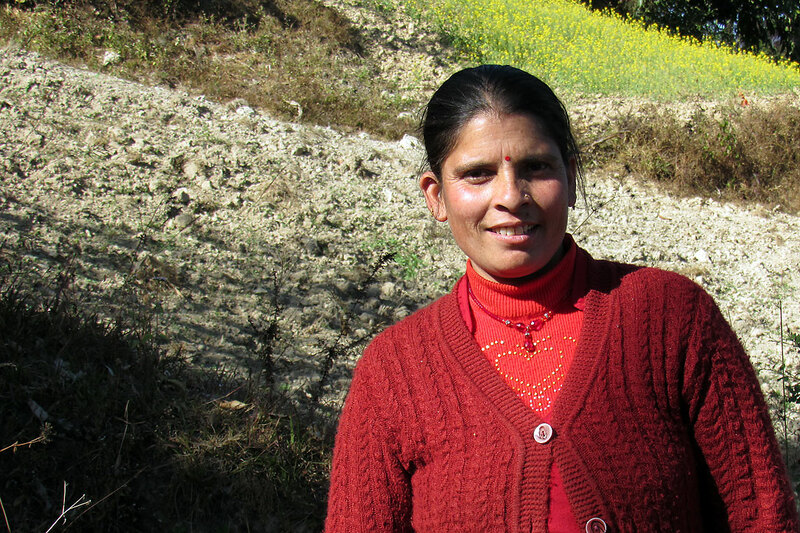 “She has a good track record of paying back the loan,” chairperson Subhadra says. With the support from the LWF the cooperative was able to set up livelihoods and mediate conflict in Devichour and seven neighborhood villages. “LWF has provided the money to start the cooperative , it has been nurturing the cooperative through different sorts of trainings and linking the cooperative to banks including Nepal Federation of Saving and Credit Cooperatives,” Nabin Dahal, Project Manager for LWF Nepal says. Photos and story contributed by Umesh Pokharel/LWF Nepal. Edited by LWF communications. The LWF is pleased to be part of a faith-based coalition to end violence against girls and young women. We believe that activism promoting equal and respectful relationships is good news, all year round, wherever and whoever we are. 16 Days of Activism begins on 25 November, the International Day for the Elimination of Violence against Women, and ends on 10 December, Human Rights Day.